MICHELE MURRAY is a choreographer and artistic director of PLAY / Michèle Murray. Of French and American nationality, she begins studying ballet in Düsseldorf, then studies contemporary dance in New York with Merce Cunningham, followed by training with numerous choreographers and teachers in Paris. She works as a dancer within various choreographic projects, in particular with “l’art not least” company in Berlin, choreographer Didier Théron in Montpellier, France and Bernardo Montet, CCN Tours, France. Since 2008, she has also been working as choreographic assistant with Didier Théron. Since 2000, Michèle Murray has been developing her own choreographic work, first within the Michèle Murray dance company, renamed Murray / Brosch Productions from 2008 to 2012 for her collaboration with work-partner Maya Brosch. She has created numerous works which have toured extensively in Europe (Festival Montpellier Danse, ImPuls Tanz VIenna, National Review of Live Art Glasgow, Dance Week Zagreb, CND Paris, CCN Tours, among others). 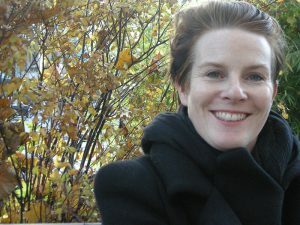 In 2012, she founds PLAY / Michèle Murray, of which she is artistic director and choreographer, while researching in close collaboration with artist coworkers. Her latest project ATLAS / STUDIES, a “choreographic atlas” of ten short pieces, was presented for the first time as a whole as part of the Festival Montpellier Danse 2018. She is beginning work on the new project called WILDER SHORES in 2019. Michèle Murray also teaches dance and performance art across Europe, mainly in France and Germany. Her teaching is closely linked to her choreographic research.